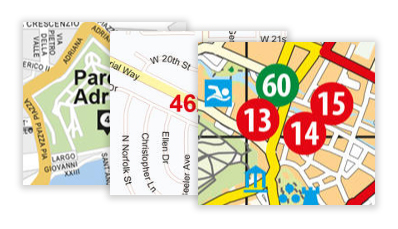 We specialize in creating the perfect map solution for your business. Whether you're looking for a simple map, or want custom data projected, look no further. A map gives insight on all sorts of levels. Whether it is you want to translate an Excel sheet to a visual image, or be it you need a custom map, with either locations, regions or routes, we can arrange all of this in heartbeat. We dont shy away from anything when it comes to cartography and map making, try us! Interested in what we can offer you? Take a look at some of our previous work. We can blend in corporate identities or simply place a logo to make it stand out. 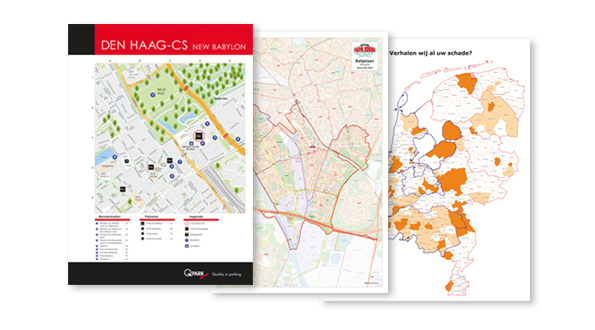 We build maps to a wide variety of businesses, which include: Burger King, KLM Skypartners, Q-Park, The Dutch Consulate to name just a few. Not sure which map it is you need? Browse through a wide selection of maps. 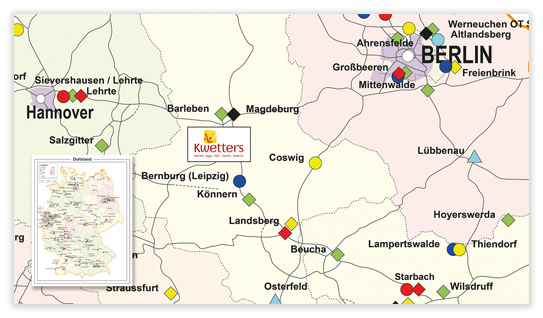 Products range from simple 'Area Maps', 'Location Maps', 'Region Maps' to fully interactive 'Web Maps'. Whatever map you need, can surely be found here. Here you'll find the more standard and basic maps around. All files are digitally for sale in both EPS and JPEG format. 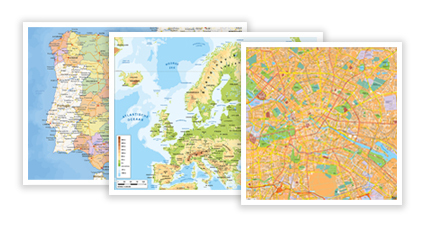 These maps include: World Maps, Continent Maps, Country Maps, City Maps and more. Is the map you're looking for not around? Chances are we're working on it.